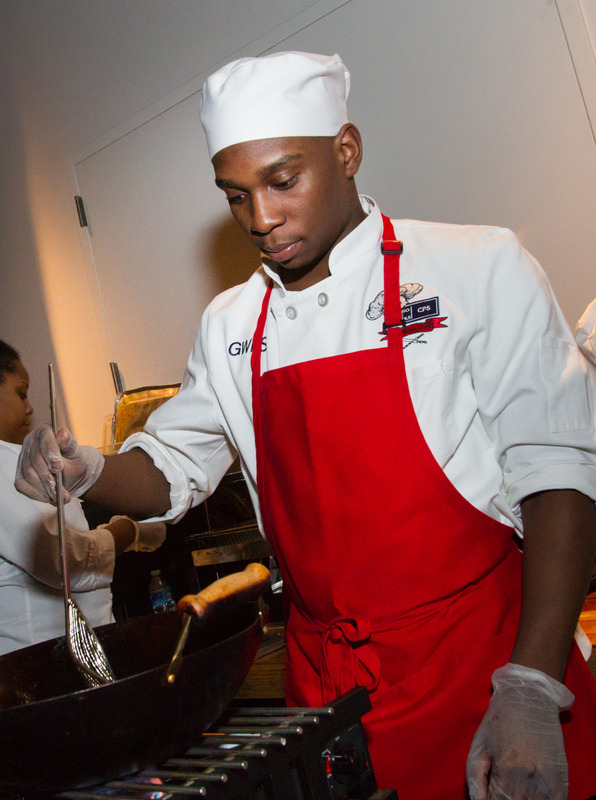 The 6th annual Culinary Futures Cocktail Hour and Silent Auction, held Sunday, March 8, 2015 at Ovation Chicago, raised $45,000 to benefit Careers through Culinary Arts Program (C-CAP), a national non-profit organization that works with public schools to prepare at-risk students for college and careers in the restaurant and hospitality industry. 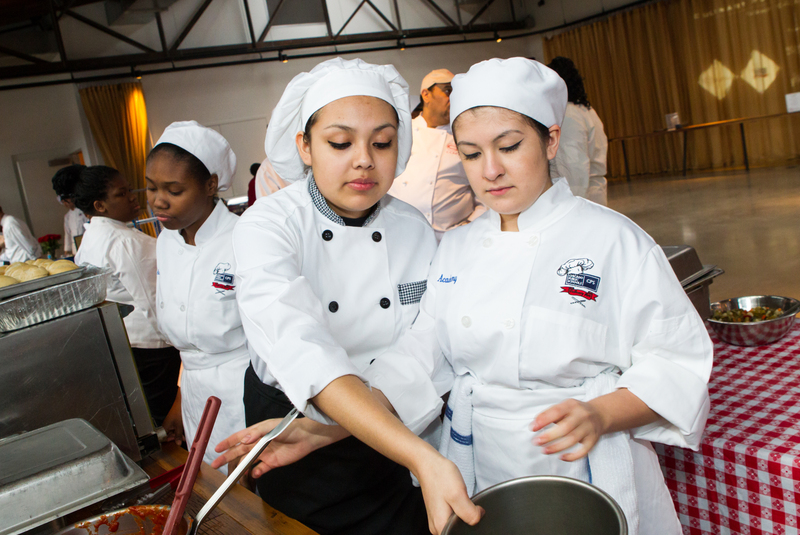 The Careers Through Culinary Arts’ curriculum enrichment program links public high school culinary teachers and their students to the foodservice industry. Nearly 300 guests enjoyed a variety of mouthwatering dishes including Tarte Flambé with Onion, Nueske Bacon, and Emmenthal Cheese; delicious Vegetarian Samosas; Deconstructed Hamburgers — all prepared and served by the crème de la crème culinary students from nine Chicago Public Schools, each participating in the Careers through Culinary Arts Program (C-CAP). 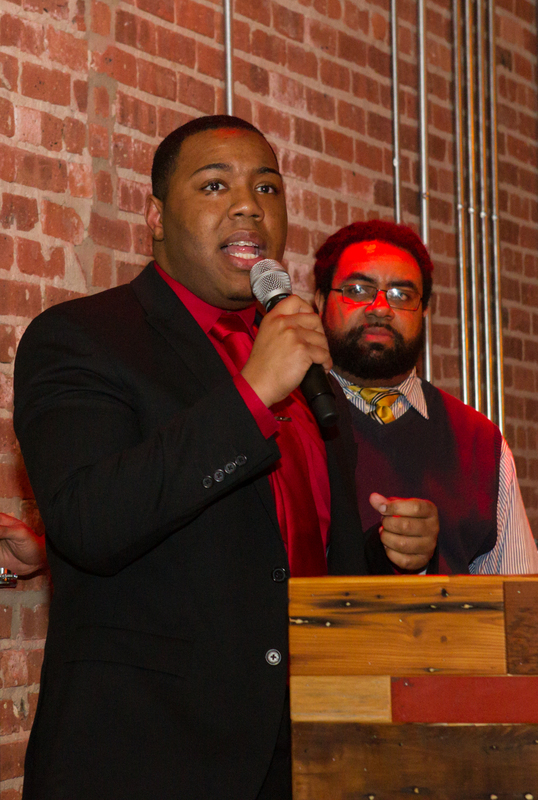 The final competition is hosted on April 25th at the Illinois Institute of Arts- Chicago. 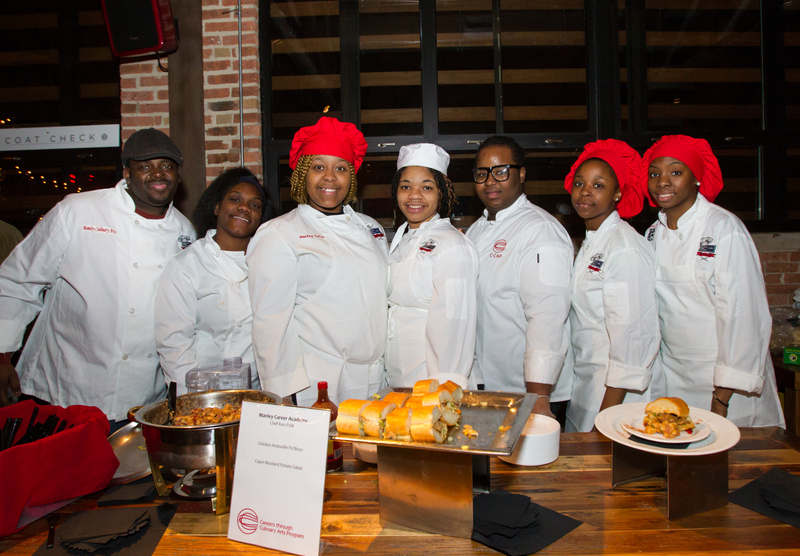 Finalists representing the nine Chicago high schools will compete against the clock as C-CAP re-creates the intensity of a restaurant kitchen. 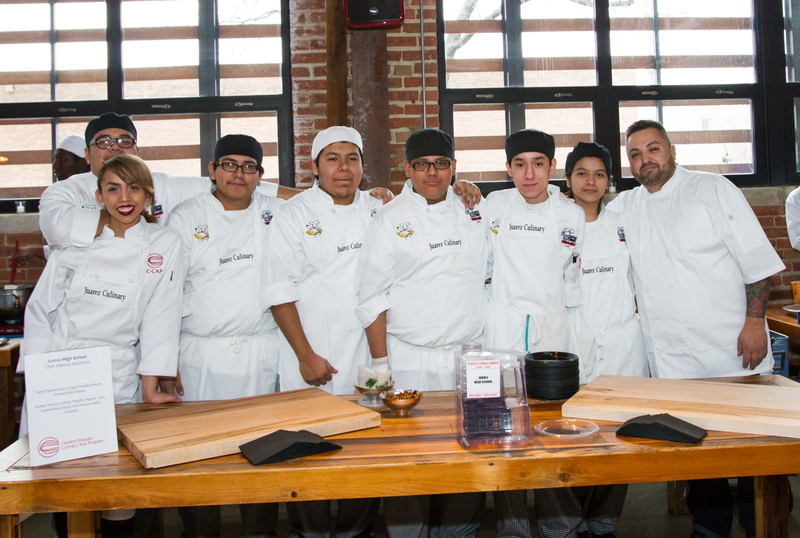 Students will be judged by a panel of local esteemed judges on presentation of the dishes, knife skills, techniques in the kitchen, taste, sanitary food handling, and timeliness. 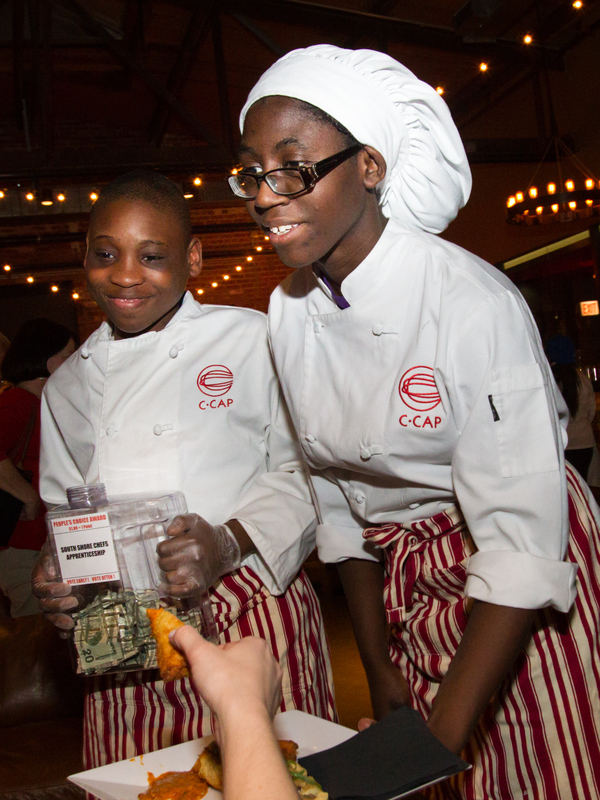 On April 27th, C-CAP Chicago will hold the Scholarship Awards Breakfast where scholarships and cash awards will be presented to high school students. 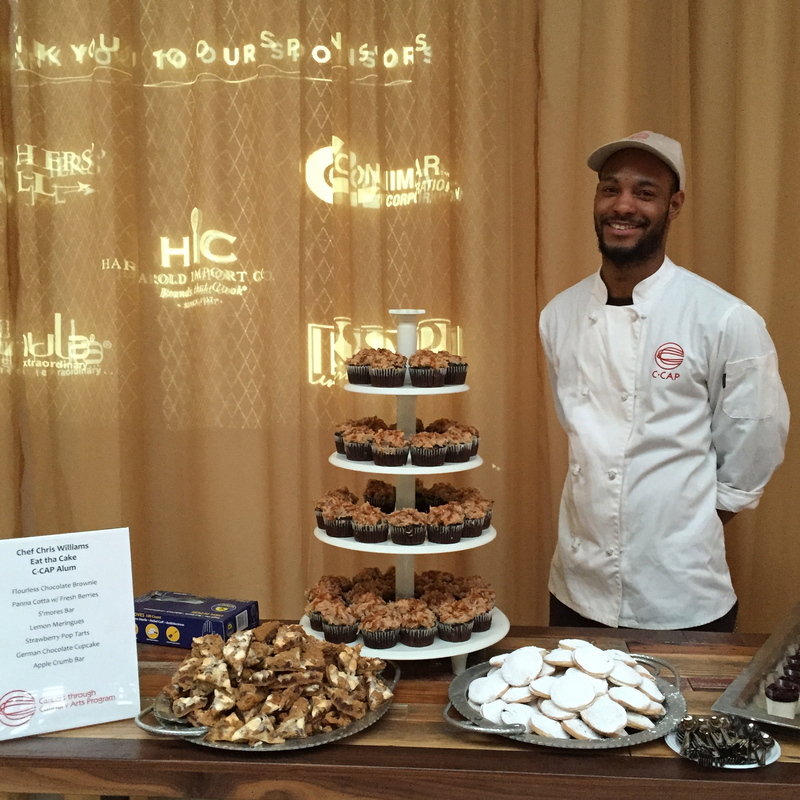 For more information about the Chicago event and competition, contact Nicola Copeland at C-CAP Chicago ncopeland@ccapinc.org. This entry was posted in News on March 31, 2015 by HIC, Harold Import Co..
From pour-over to pods, and from drip to French Press, there are many ways to brew a cup of coffee. Each method has its own distinct results, and each requires varying degrees of effort. 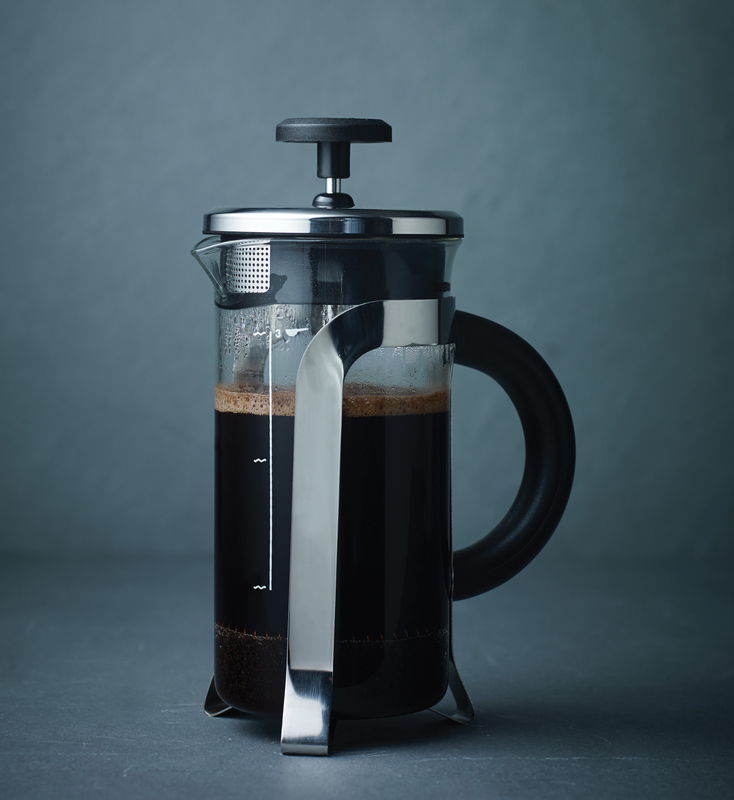 For anyone who appreciates a method that extracts the full flavor and aroma of coffee, while enjoying a bit of hands-on attention, the French Press is often their method of choice. First patented by Milanese designer Attilio Calimani in 1929, the French Press continues to reign as one of the favorite ways to brew coffee due to its ease of use, simplicity, and ability to produce a great cup of coffee. Ideal for anyone who enjoys the experience of brewing by hand, this simple, few-step French press brewing process does not require much when it comes to training, yet gives the user a bit more control in the final results. The idea is simple, grind the coffee, place a measured amount in the pot, and fill with the proper amount of water. By allowing the water and grinds to sit in the press, the oils and flavors of the coffee enter the water and produce delicious results. There are numerous French Press pots available on the market, but what makes the aerolatte® French Press Cafetiere a step above others are the little design tweaks that take some of the guess out of the French Press brewing method. Once you have the perfect grind, you’ll need to properly measure the coffee and match that with the right amount of water. 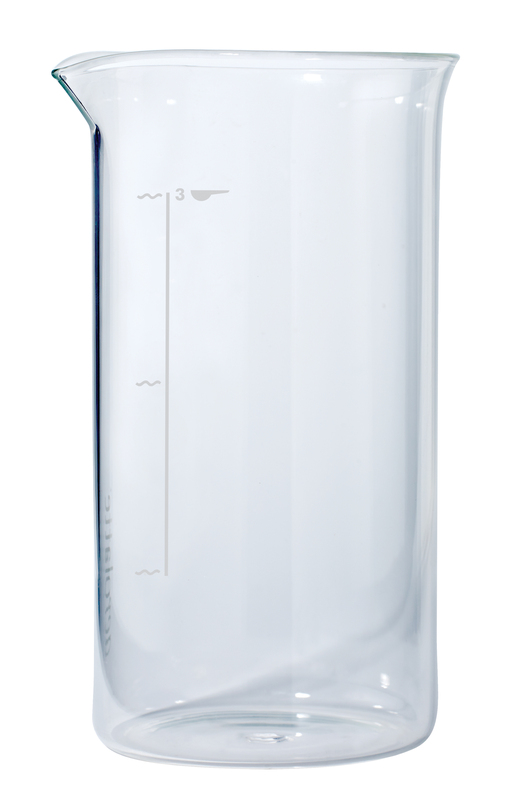 The aerolatte French Press comes with a unique measuring gauge for water levels printed right on the glass. By using this guide, and the coffee measuring scoop (which comes with the press), you can easily brew perfect coffee. Another important feature to look out for when it comes to the French press is the filter. 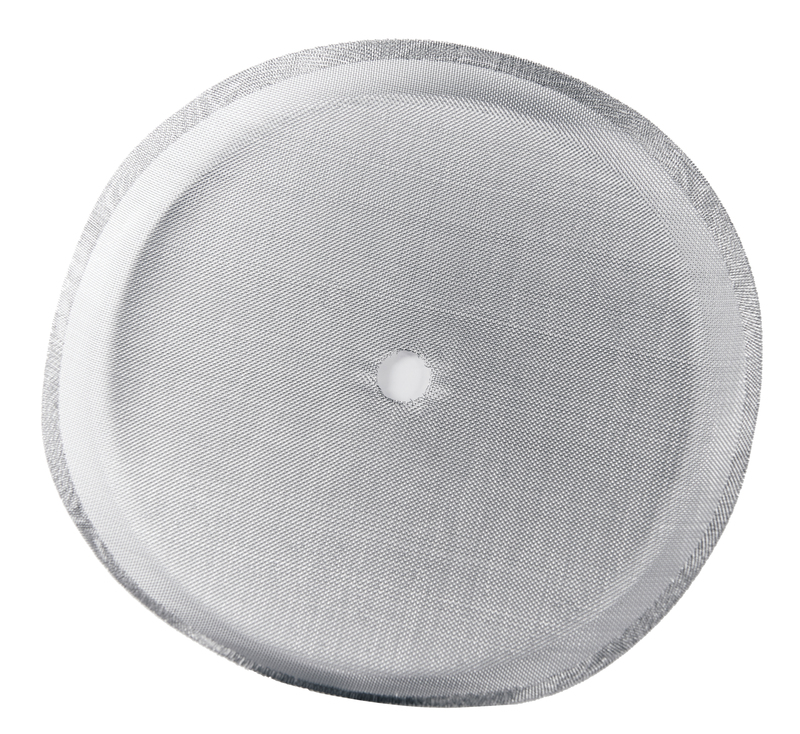 A high-quality filter design easily pushes grinds to the bottom of the pot, while ensuring that no grinds escape into the brew. Of course, that’s exactly what you will find on the aerolatte – a built-in mesh plunger that pushes grounds to the bottom of the pot and captures unwanted grounds as you pour. But, for those occasional escaping grounds, the lid is equipped with a coffee grounds microfilter spout. This is a secondary filter that prevents any grinds entering your cup of coffee and helps create a superior beverage. Once you’re finished with your coffee, it’s time to clean the pot. aerolatte’s French Press is easy to use and clean. The high-heat borosilicate glass beaker is dishwasher safe, and easily lifts out of the stainless steel frame for quick cleanup. Hand wash all other parts in warm, soapy water. The aerolatte French Press is available in four sizes – 3, 5, 7 or 8 cup. If you’d like to learn more about the aerolatte French Press from Gary and Alan, click through on the link below and choose “How to make French press coffee with aerolatte” from the playlist. This entry was posted in Useful Tools on March 24, 2015 by HIC, Harold Import Co..